At Cummings Law Firm, we have over 25 years of experience in guiding Connecticut residents through difficult legal matters. Our law firm has assisted hundreds of injury victims in seeking compensation from at-fault parties through workers' compensation, personal injury, premises liability, and product liability claims. We have an in-depth understanding of these areas of law, and we familiarize ourselves with the unique details of each case so that we can craft a fitting legal strategy. We also provide aggressive representation to people who have been accused of various infractions, from traffic offenses to violent crimes. During these cases, we keep sight of our clients' long-term interests, and we always strive to mitigate penalties such as license loss, restraining orders or incarceration. Our team, headed by attorney James W. Cummings, is committed to helping our clients understand the long-term impacts of their choices and avoid harmful emotional decisions. 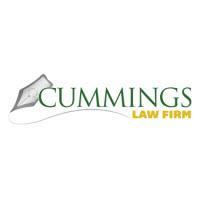 At Cummings Law Firm, we also advise business owners on matters ranging from business formation to contract disputes. We aim to protect against future conflicts when possible and resolve existing issues expeditiously. We offer guidance during commercial and residential real estate transactions, contract drafting, closings and tenant disputes, as well. To make our assistance more accessible and convenient for clients, we offer predictable rates and free initial consultations about any of these services.